As winter sets in the roads in Wisconsin will become more icy and dangerous. It is important to be as safe as possibly while driving this winter. 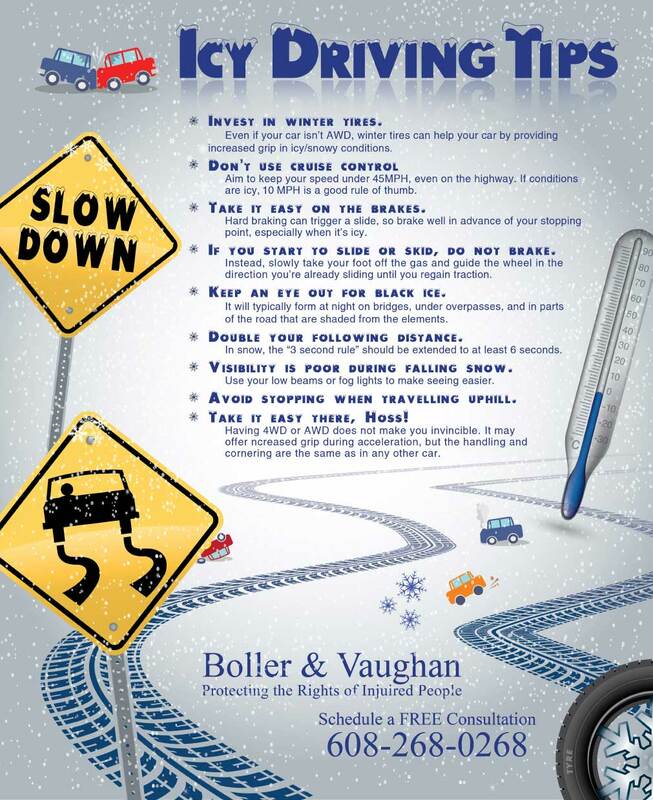 Here are a few great driving tips for those icy roads! Take it Easy There, Hoss! Regardless of how prepared and caution people try to be, accidents do still happen. If you or a loved one has been injured in a car accident due to someone’s negligence, or icy roads, call the attorneys at Boller & Vaughan. They have been protecting the rights of injured people throughout Wisconsin, call (608) 268-0268 today for a free consultation!